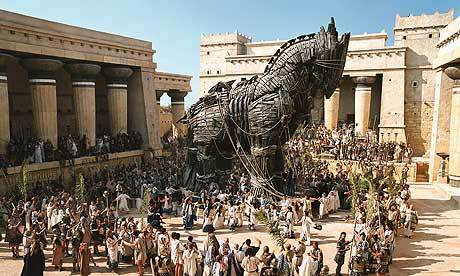 Agile-Testers as the Trojan Horse in Traditional Development Projects! As we all know, many projects are still carried out with a traditional development approach. Why is it that people don’t question the persistent idea that the agile mindset is not miscible with traditional ideas? I think, and have seen it work in practice, that agile ideas are very useful for the traditional environments, especially in solution to the challenges mentioned in the next section. In traditional development approaches there are similar challenges as in agile approaches. However, in agile approaches we have found a solution to these challenges. Why not spread these solutions to other types of development approaches? Based on experiences as an agile-tester in agile projects, you would know how to apply agile solutions to challenges in traditional environments. Challenges include: what should the level of documentation be, how to establish the quality of requirements, how to perform a risk analysis, how to determine a test strategy, how to get the tests scripts created on time, which test design technique should (must) be applied, what should the test intensity be, how to get the tests executed on time, how to work in a (multi-disciplinary) team, how to deal with test plans and defect management, etc.